Amir Khan responds to Mayweatehr after his recent stint on reality TV show “I’m A Celeb” in a jungle based in Australia. Although boxer Khan didn’t win the TV show, he won over a lot of fans for his funny antics on the show which included numerous encounters with snakes and spiders – which brought out screams from the welterweight fighter which were well publicised at the time. 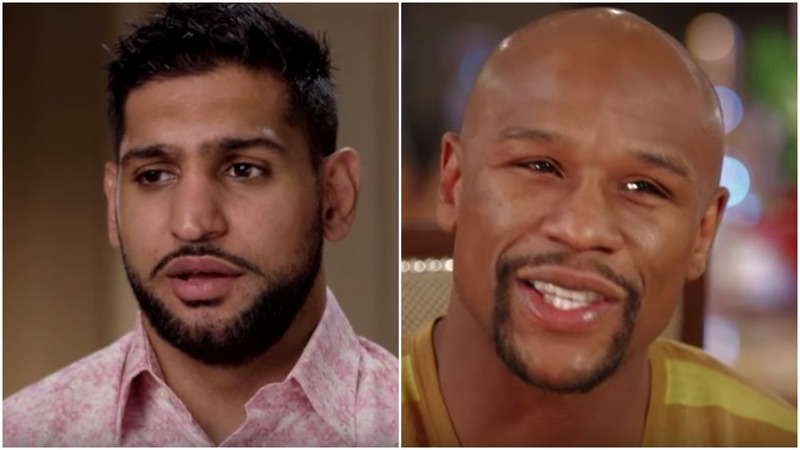 One reaction to the snake and spider scenes was one Floyd Mayweather, who mentioned at the time he couldn’t take Khan serious after hearing he of the show Khan was on. Essentially Mayweather said Khan should stick to TV and give up his pursuit of a boxing match with him. Now that he is retired from boxing as an active fighter following his last bout in August to Conor McGregor. Mayweather and Khan were meant to fight a few years back but instead Mayweather chose to box Argentinian Marcos Maidana.